Sportovní výfuk Bob-cat se svody Ø 38 mm (keramický povrch) + montážní set. Bob-cat racing exhaust ceramic Ø 38 mm (1-1/2"). 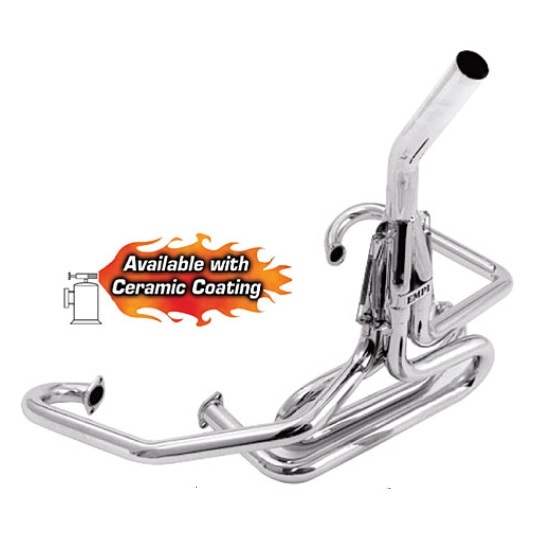 Products now offers Ceramic Coated Headers and Exhaust components. The high impact protective coating is heat fused at 650° creating a virtually impenetrable barrier against corrosion and damage caused by the elements. In addition to increased durability, this coating affords lower operating temperatures and increased horsepower.